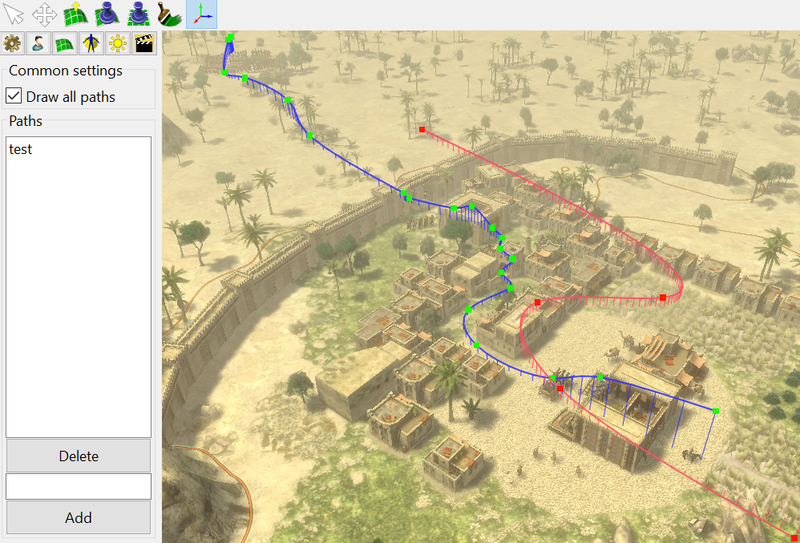 A cinematic path consists of a position and target nodes. 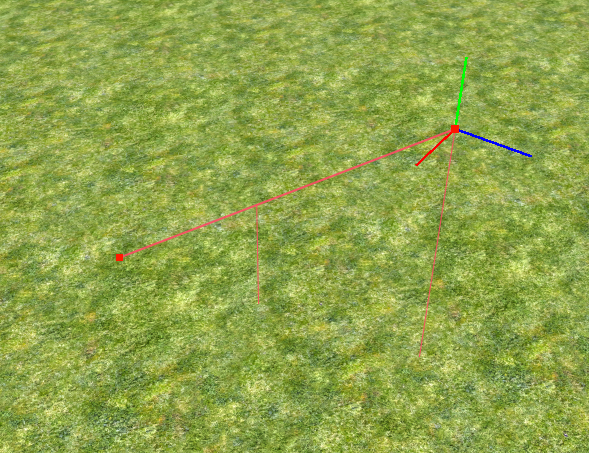 Position nodes - nodes used for the camera position. Target nodes - nodes used for the camera focus position. In other words the camera looks from positions to targets. 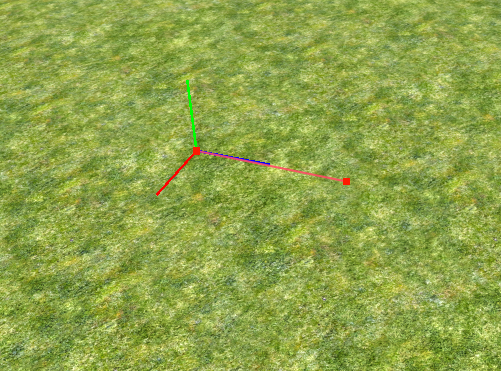 Delta time - time between nodes which the camera spends to move from the one node to the other node. 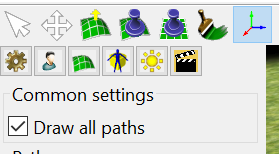 The "Draw all paths" checkbox toggles cinematic paths drawing. 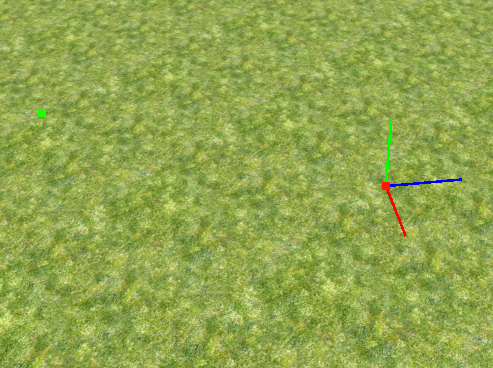 Paths are drawing only in Atlas, and aren't drawing, when cinematics is playing. It's useful to check paths, created by triggers. To delete a node, select it and press the Delete button on the keyboard. If you need to edit delta times, you could edit nodes in a map XML file (atlas editing for delta times will be added later). 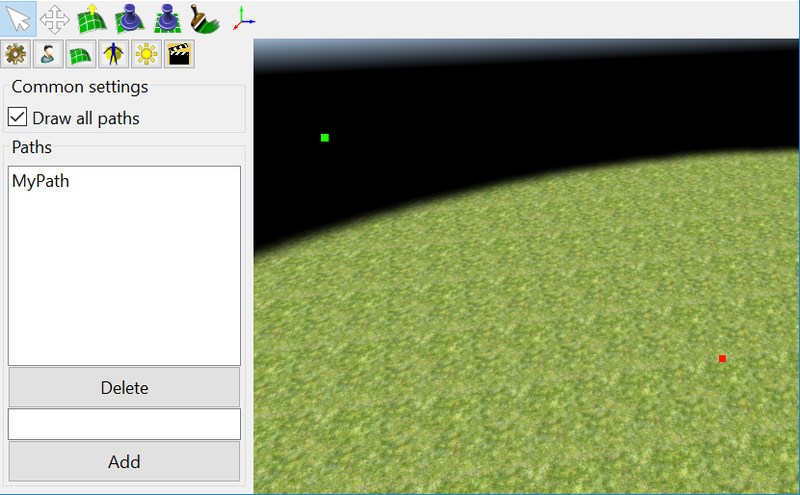 Currently there is no way to run a cinema path without a trigger script, but this possibility will be added later. cinematics_tab.png​ (16.2 KB) - added by Vladislav Belov 22 months ago. cinematics_path_save.png​ (2.1 KB) - added by Vladislav Belov 22 months ago. cinematics_path_new.png​ (498.0 KB) - added by Vladislav Belov 22 months ago. cinematics_step_0.png​ (383.1 KB) - added by Vladislav Belov 22 months ago. cinematics_step_1.png​ (418.8 KB) - added by Vladislav Belov 22 months ago. cinematics_step_2.png​ (595.8 KB) - added by Vladislav Belov 22 months ago. cinematics_tool.png​ (17.6 KB) - added by Vladislav Belov 22 months ago. cinematics_demo.png​ (1.1 MB) - added by Vladislav Belov 21 months ago.